Whirlwind of Surprises: #Disney's #Cinderella...revived in a sparkly Diamond edition! #Disney's #Cinderella...revived in a sparkly Diamond edition! Who doesn't know the story of Cinderella? The classic fairytale that we all watched when we were little, dreaming of Prince Charming and our one and only love...right? 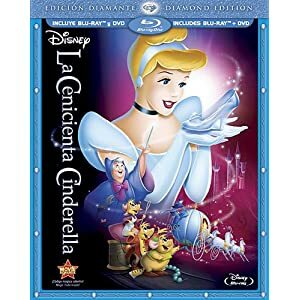 Disney has opened it's vault October 2nd to release Cinderella in a Blu-Ray Diamond edition. 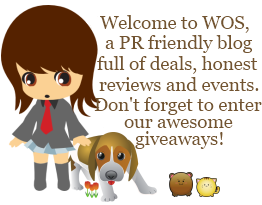 This magical story is now available for your in home viewing pleasure with a few whimsical bonuses! It has been years since I last watched Cinderella and although my memory of the fine details of the story had faded, I still remember the story of the cruel stepmother and stepsisters who ordered poor Cinderelly around. However, that has never stopped Cinderella from dreaming and together with her little friends, her Fairy Godmother and a splash of "Bibbidi-Bobbidi-Boo", she's on her way to the Royal Ball. When the clock strikes twelve, the magic disappears. How will Cinderella ever reach her fairytale ending? Well, you all know the story. It's a timeless classic after all and it's tough to imagine someone that hasn't seen it before. Watching it now is as good as it was back in the day when I was just a kid. The difference? Diamond editions of Disney movies mean that they have the best picture and sound, interactive bonus contents, and more. A truly beautiful viewing experience for those who have and haven't watched Cinderella before. This edition also contains the storybook experience where the Fairy Godmother tells the classic story on screen while viewers help Cinderella via 4 mini-games. Throughout the experience, Fairy Godmother gives the viewer feedback via a personable experience. She knows your name! There's also a variety of fun activities and games available via Disney's Second Screen technology. It is too cool. You can use it on iPads, iPhones, iPod Touches or a PC/Mac with flash capabilities. It really brings the whole family into a magical, interactive Bibbidi Bobbidi-You experience! Oh, and the bonus Tangled Ever After Animated short is hilarious! We couldn't stop laughing. Pick up your own copy to see the fun Cinderella has in store for you and the never-before seen before opening sequence. It's a great addition to your movie library if you don't have Cinderella yet. Oh my--one of our favorite princesses--when we were in Disney World last year my son only 3.5 at the time was completely enchanted with her blue gown and her beautiful hair as he put it. Ooooh, I can't wait to see this! My family has really enjoyed watching this! Cinderella is my favorite would love to take my grand daughter to a play. Thanks for sharing this...it must be very popular - I've seen it now on a couple of blogs.